Jai Nitz is an American comic book writer of Latino descent who has worked for DC, Marvel, Dark Horse, Image, Disney, and other publishers. A 1998 graduate of the University of Kansas with a degree in film studies, he won the prestigious Xeric Foundation grant in 2003 for his self-published anthology, Paper Museum. Jai also won the Bram Stoker Award in 2004 for excellence in illustrated narrative for Heaven's Devils from Image Comics. 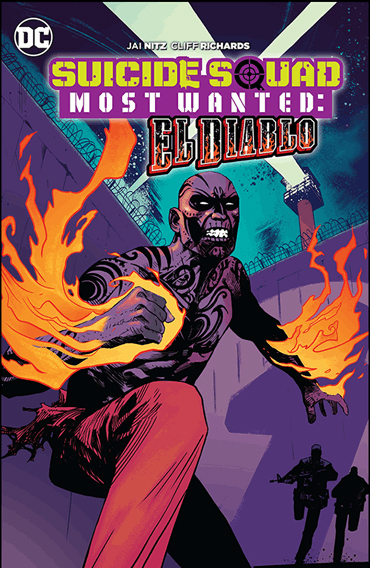 He co-created El Diablo with Phil Hester and he co-created Dream Thief with Greg Smallwood. El Diablo made his big screen debut in 2016's Suicide Squad.